A simple addition of garden path lights in your garden can make it attractive and more accessible long after dusk and one can enjoy the garden after a long day of work. A lighting up your garden creates an atmosphere of its own to an evening garden as it can be accessed at any time. At night your garden landscape can wear a different face and have a totally different look from its daytime appearance. Your garden can look magical by adding lighting to it. 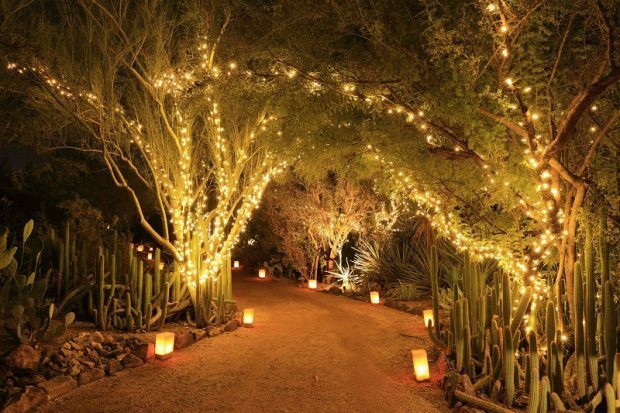 Imagine a situation where you want to surprise your better half and you decorate the garden by lighting it up and especially given more focus on garden path lights, what will be the result? The answer is simple, she will feel like a princess and her prince charming is doing whatever it takes to make her feel special. A well-planned landscape lighting can enhance the beauty of natural and cultivated forms, a pool, fountains, and pathways with subtle shade, shadow and color. Safety – Illuminating pathways can indicate steps or marking safest routes. 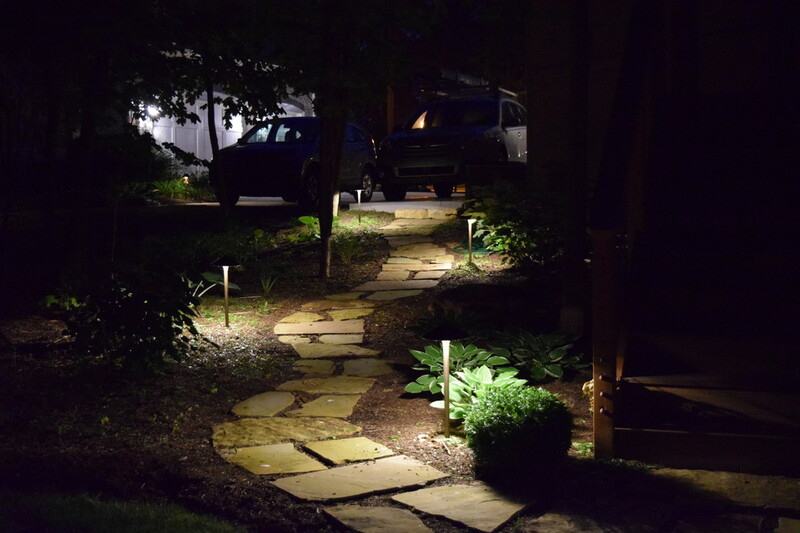 Garden Path lighting provides a safe walkway and adds to your home’s security. Kids are safe while the walking in the garden in the night and they can play at whatever time they want to. Night-time visitors can walk safely to your front door. Outdoor entertaining is much safer when guests can see the terrain. Improves Functionality – Aside from the amazing appearance at night, garden lighting improves the functionality of your garden as well. With properly positioned garden lanterns, you can use your garden after sunset. Garden lanterns positioned all around the garden provide enough light to do many things around your garden even at night. By illuminating your garden, you will probably spend a lot of time with your family and friends outside. Atmosphere – The loss of daily enjoyment is solvable through garden lighting, by transforming darkened patios, decks and flower beds into a welcome fantasy of light. 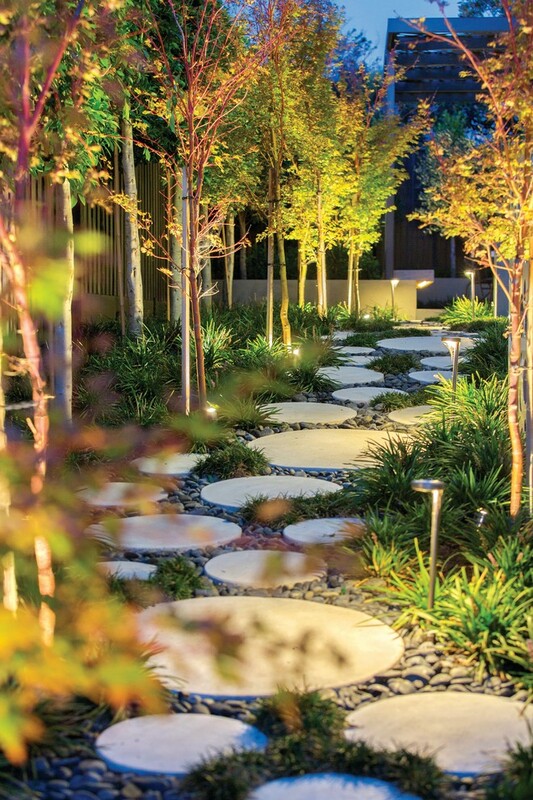 Mood – A well-lit garden with perfect lighting and wonderfully placed pathway lights can do wonders for your mood and can turn your mood into a calm and composed state. Expands outdoor living spaces – You can light a patio or porch and create different moods like candlelight at night or soft moonlight. Improves entrance appeal – It Highlights trees, shrubs, porches, gables on houses and special architectural features. Up lighting: It is the most commonly used technique to illuminate trees, walls, and sculptures and down lighting is a mimic of natural light – the fixture is located overhead with the light shining down from above. Moonlighting: It can be achieved by placing the fixture high above the ground and to produce a broad, moonlight effect. Shadowing techniques: It requires the strong shape of plants such as yuccas, agaves, etc., and surfaces such as a wall or lawn to create the most powerful effect. Spotlighting: It is used sparingly to pick out larger plants, trees, statues and architectural features. Spread lighting: It uses wide beam angles to light larger features such as lawn areas, flower beds and borders and low shrubs makes strolling around a garden in the late evening very pleasurable. Cross technique: It is used to pick out and highlight the statue, tree trunk, bonsai, archway, etc. If you want to turn your garden into a magical land, then you can use Light This Light That. 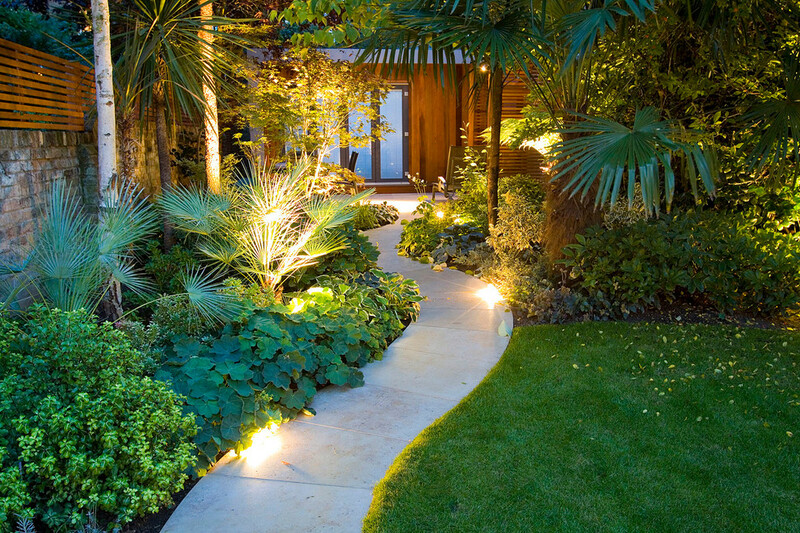 LTLT has best lighting options for garden path lights and has the entire range of lightings which can help you in using the above-mentioned techniques.